*What cost $149.50 in 19** would cost $2227.00 in 2011! 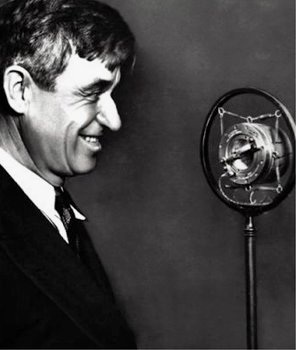 National leaders ask Will Rogers to address the country struggling with the Great Depression. 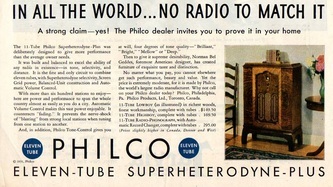 This is an 11 tube superheterodyne with a cabinet designed by Norman Bel-Geddes. The drum-style dial has a blank space in the middle to allow the user to pencil in favorite station information. 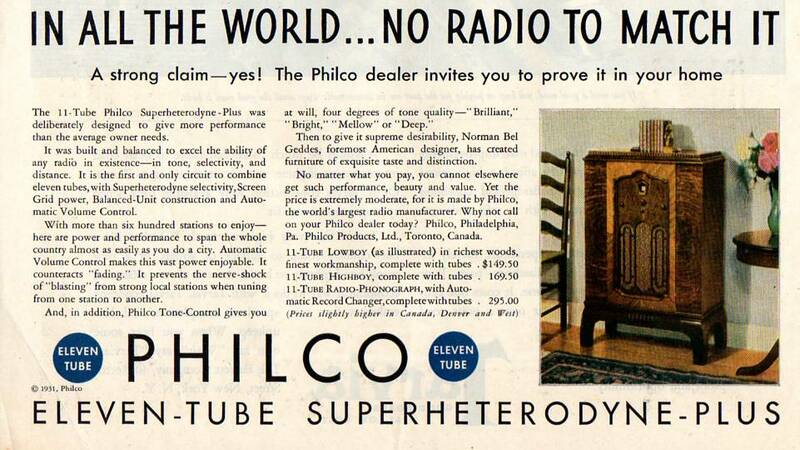 Philco called this a "recording dial". 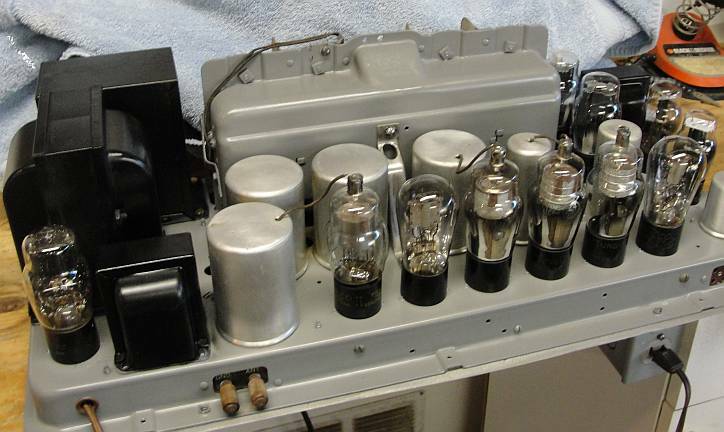 TIn 1920, Powel Crosley (1886-1961) set out to produce an affordable radio and went on to build one of the most successful electronics companies of the early 20th century, earning him the reputation "The Henry Ford of Radio". In 1922 Crosley started radio station WLW, which, in 1934, would become the most powerful station in the country (500,000 watts). In 1935 Crosley introduced the "Roamio", the first car radio. 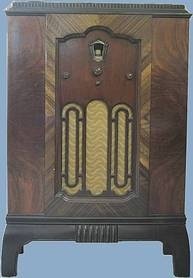 The Crosley corporation is still in business making appliances and reproduction radios, visit them at www.crosley.com .